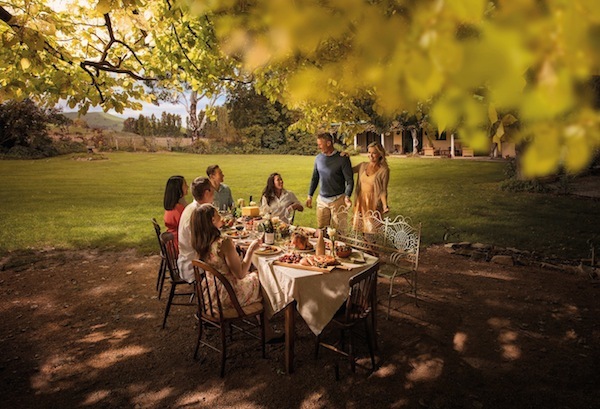 Tourism Australia has unveiled the latest evolution of its global campaign ‘There’s nothing like Australia’, with exceptional food and wine experiences from around the country playing a starring role in an effort to convert the global appetite for Australia as a travel destination into more visits. Launched today, the new $10 million campaign is based on the idea of Australia being the world’s greatest restaurant, and is called ‘Restaurant Australia’. attendance by 80 international media and key food and wine influencers at the ‘Invite the World to Dinner’ gala event at Museum of Old and New Art in Tasmania. Tourism Australia managing director John O’Sullivan says the roll out of the campaign would occur in stages, starting firstly with a ‘rally cry’ to encourage Australian operators with a food and wine focus to get involved ahead of ‘Ignite the World’ consumer promotions in international markets and culminating in a spectacular ‘Invite the World’ gala dinner in Tasmania in November. “Restaurant Australia is all about bringing together the incredible stories of our people, place and produce to demonstrate to the world that every day, unique and exceptional food and wine experiences are being served-up in remarkable locations, and then sharing these stories through the creation of rich and compelling content,” O’Sullivan says. By submitting stories, businesses, operators or people directly involved in Australia’s food, wine, tourism and hospitality industries can be listed on the new campaign website for the world to see. Products or experiences can also be amplified through Tourism Australia’s social media platforms (Facebook, Twitter, Instagram) by using #restaurantaustralia. The campaign activity will roll out in 12 key international markets in the coming months with high profile events and consumer promotions. In addition, an international media familiarisation program will be hosted for ‘Restaurant Australia’ in partnership with all states and territories in November this year. “The word-of-mouth advocacy this familiarisation will generate internationally is aimed squarely at closing the gap on perceptions of Australia’s food and wine offering internationally and motivating people to travel here to indulge in our local cuisine. We want to win over their hearts, minds and their stomachs so that the dream of visiting Australia becomes reality,” O’Sullivan says. 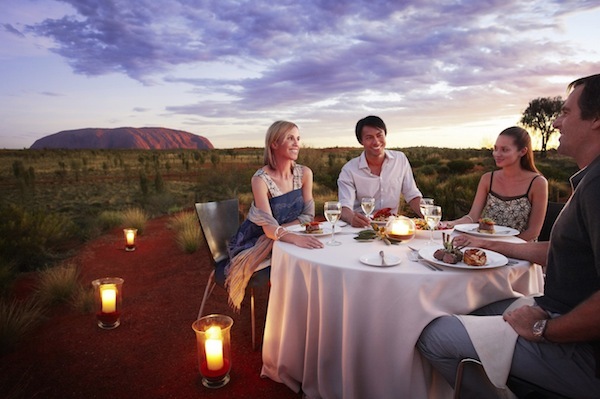 International visitors spent more than $4 billion enjoying Australia’s food, wine and culinary experiences in 2013. 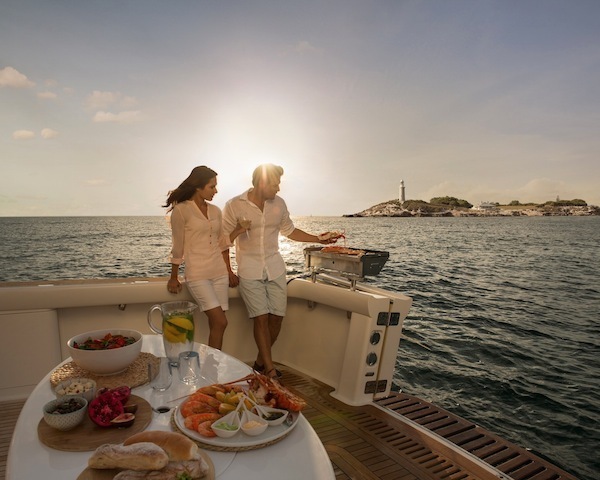 Tourism Australia CMO Nick Baker says the new campaign had been developed based on recent research which showed Australia was well placed to capitalise on growing demand amongst international travellers for local culinary experiences as part of their travel. Baker says Australia ranks quite low in perceptions of food and wine in overseas markets, but that changes when people visit and experience Australia’s produce, with perceptions rising to rank among the best in the world. “The concept of ‘Restaurant Australia’ has been built based on consumer research which identified ‘food and wine’ as a key factor in holiday decision making and the most important emotive trigger, ahead of world class beauty, for influencing people’s destination choice,” Baker said. 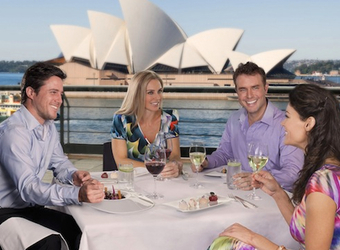 “For people who’ve never visited Australia awareness of our food and wine offering is low. However, once they visit, people realise the variety and quality of our food and wine experiences is world-class and Australia moves to the top of the rankings as a one of the world’s best culinary destinations. “This perception gap presents a real opportunity to bring Australia’s culinary credentials to the fore by developing rich content through traditional and social media channels that highlights the array of exceptional produce, created and served by people with fresh thinking, in the most stunning locations in the world,” Baker says. 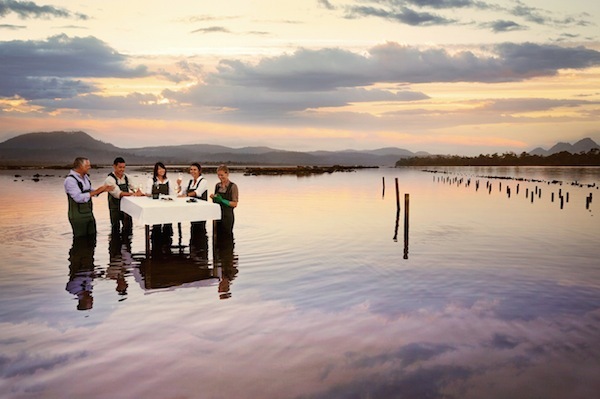 Tourism Australia has developed the ‘Restaurant Australia’ campaign in consultation with its state tourism partners and industry along with its marketing partner, Wine Australia. The new creative has been developed by Tourism Australia’s global creative agency Clemenger BBDO, with Mark Toia directing the new food and wine ‘chapters’ of the broadcast ad. Digital elements of the campaign have been developed by DT. 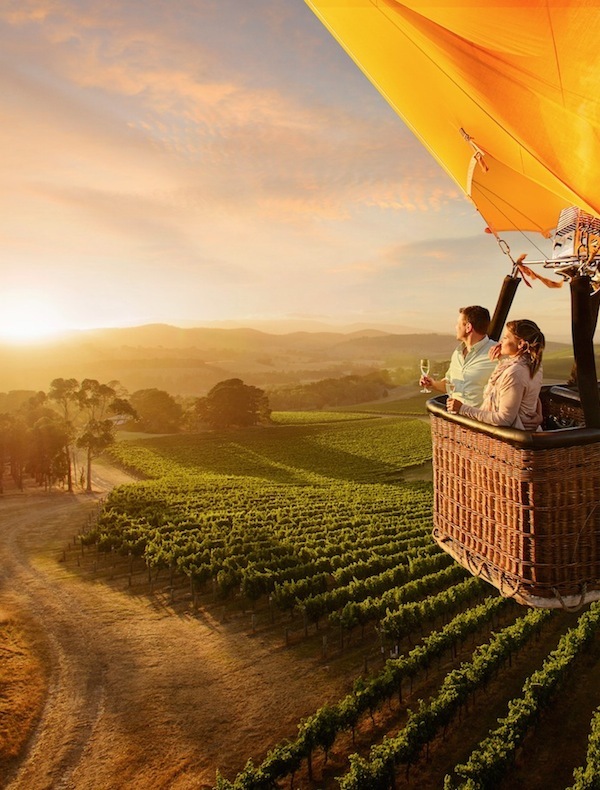 The campaign development is underpinned by research conducted by Tourism Australia in 2013, in 15 of Australia’s key tourism markets, which identified a significant gap in the perceptions of Australia’s food and wine offering. 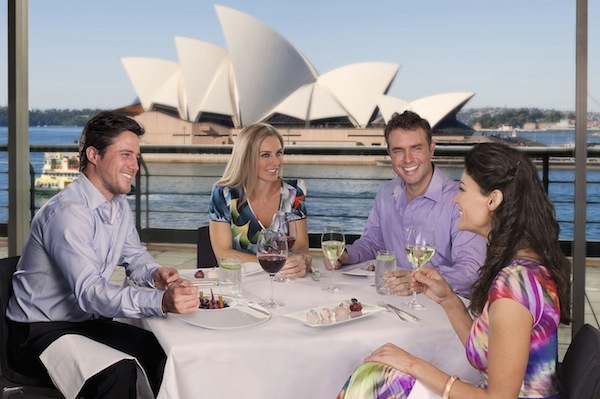 For people who have never visited Australia only 26 per cent associate the destination with a good food and wine offering. But for those who have visited Australia ranks second in the world for its food and wine experiences (60%) after culinary giant France and ahead of Italy. For visitors who have previously visited from China, USA, France, India, Indonesia, Malaysia, the UK, and South Korea, Australia is ranked number one in the world for having great food and wine. Here’s the TVC, and hero creative for each state is below, including the obligatory Uluru and Opera House shots.